Don’t bother looking for ‘ignorality’ in the dictionary. It’s not in there yet, and probably won’t ever be. It is a word Michael Perry made up to use in his book Population: 485: Meeting Your Neighbors One Siren at a Time (2002). It appears to be a combination of two words, ‘ignorance’ and ‘mortality;’ as in “ignorance of our mortality” (see below). 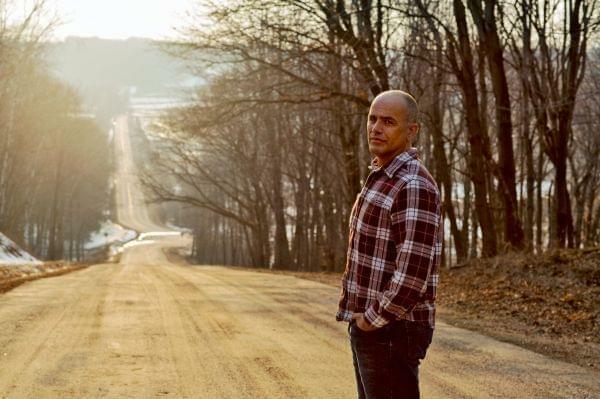 Michael Perry grew up in New Auburn, Wisconsin (population 485), and then moved away to go to school and attempt a writing career in the big city. Ten years later he moved back to his little home town, joined the local volunteer fire department and ambulance service, and continued to write. This book is one of the results of that journey. You can read more about Perry and his work at his website http://www.sneezingcow.com (as in Don’t Stand Behind a Sneezing Cow, another one of his books). In Population: 485 Perry writes a little bit about going back to his small home town, and quite a bit about what it means to be on the fire department and ambulance crew. He describes in the book his experiences, and, his ponderings on those experiences, as in these paragraphs taken from his chapter on “The Call.” What he says here makes me grateful to God for the gift of each day, reminds me to be prepared for the end of my days, and it gives me an appreciation for the people who respond to the call when you dial 911. The pager is on my hip right now, even as I type. It will go off, perhaps in the next five minutes, perhaps next Tuesday when I am in the bathroom. My heart will jump. If I’m getting something from under the sink, I may crack my head on the grease trap. I’ll listen for the details, find out where, begin forming a half-baked picture in my head. I’ll run across the backyard, headed for the hall. Whoever’s out there needing help, they’re getting me, for better or worse. Me, and a handful of my neighbors. We’ll do what we can. Job 21:13 — They spend their days in wealth, and in a moment go down to the grave. James 4:14 — You do not even know what will happen tomorrow. What is your life? You are a mist that appears for a little while and then vanishes. Isaiah 55:6 — Seek the Lord while he may be found; call on him while he is near. Teach us to number our days, O Lord, that we may gain a heart of wisdom.